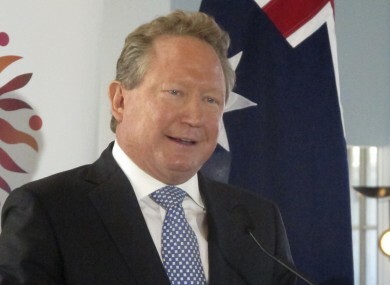 Iron ore mining magnate Andrew Forrest gives a speech at Australia's Parliament House in Canberra, Australia, earlier today. Email “Australian mining magnate gives away €266 million in 'act of love' ”. Feedback on “Australian mining magnate gives away €266 million in 'act of love' ”.